Louis-Philippe de Grandpré was born in Montreal, Quebec, on February 6, 1917. He is the son of Roland de Grandpré and Aline Magnan. He received a classical education at Collège Ste-Marie in Montreal, graduating in 1935, before attending McGill University, where he completed a B.C.L. in 1938. He was called to the bar of Quebec that year and practised law in Montreal, eventually founding the firm of Tansey, de Grandpré et de Grandpré. He lectured occasionally on insurance law at McGill University from 1960 to 1963. 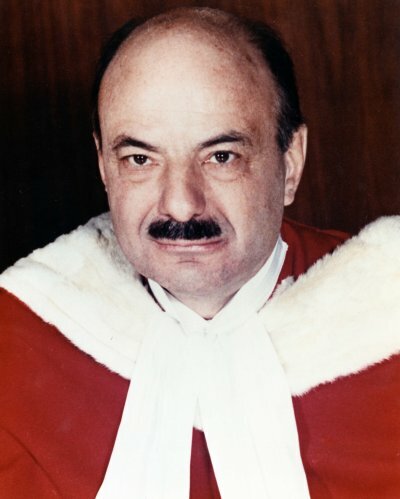 He was also president of the bars of Montreal and Quebec in 1968 and 1969, and president of the Canadian Bar Association from 1972 to 1973. On January 1, 1974, he was appointed to the Supreme Court of Canada. He served on the Supreme Court for three years, resigning on October 1, 1977. Justice de Grandpré died on January 24, 2008, at the age of 90.